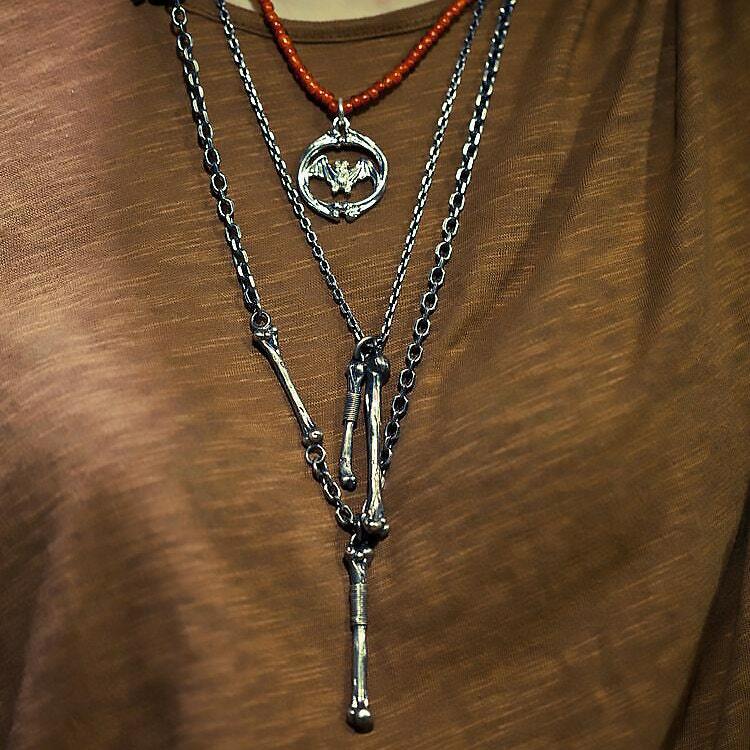 The silver bone necklace is basically a simple silver chain. 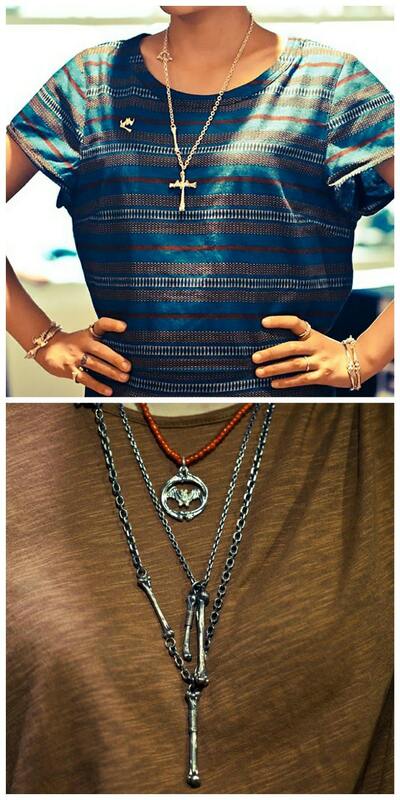 You can wear it like it is, or add any pendants of your choice to create your own personalized necklace. 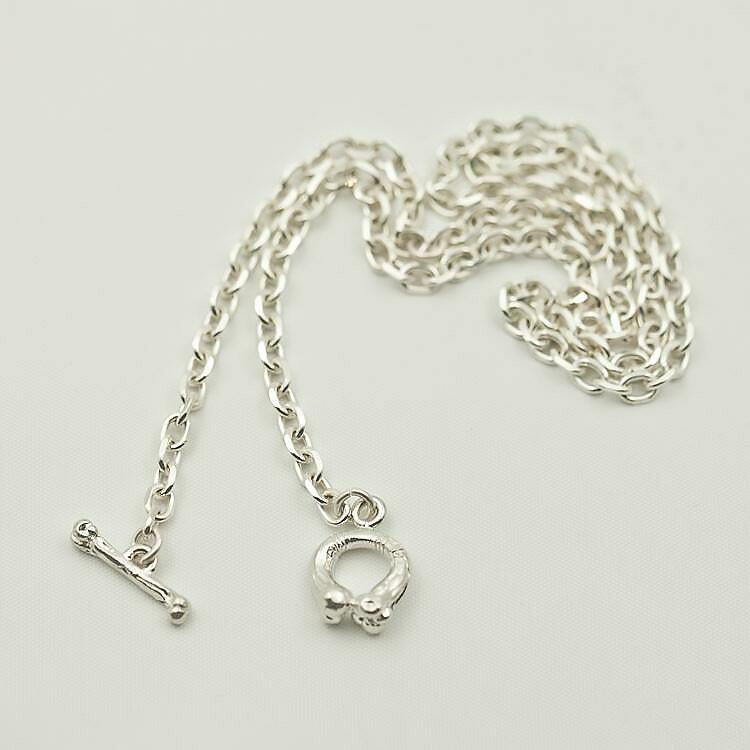 The toggle closure of the chain is a stylized set of silver bones that is crafted into a bar and a loop. 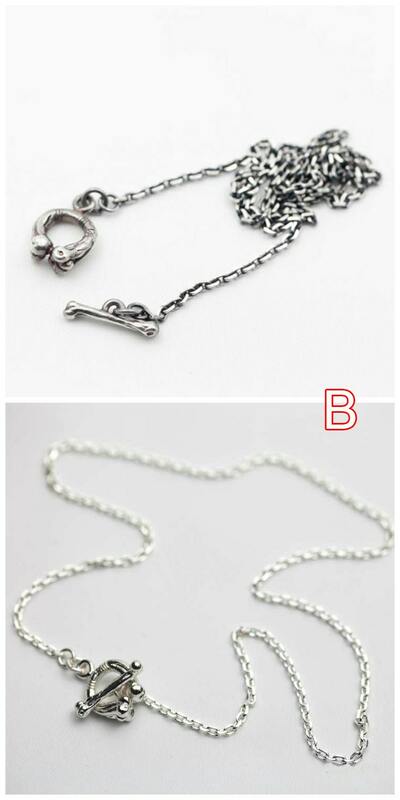 Necklace Chain Length Options: 45cm/17.7inch, 50cm/19.7inch, 55cm/21.7inch, 60cm/23.6inch, 65cm/25.6inch. 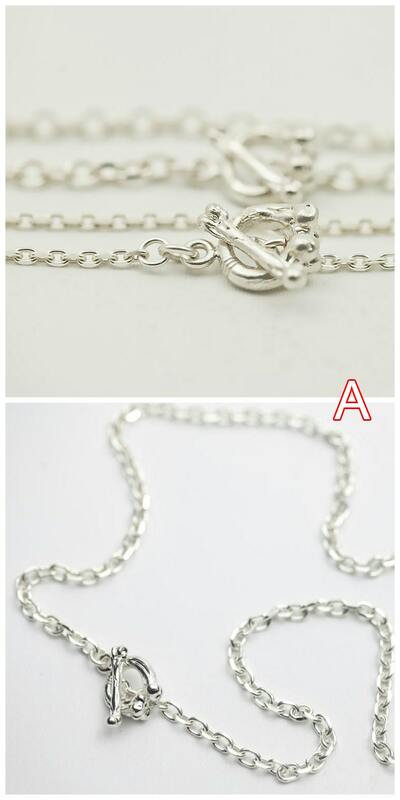 Necklace Chain Length Options: 45cm/17.7inch, 50cm/19.7inch, 55cm/21.7inch, 60cm/23.6inch. The silver bone necklace is available in two different finishes: the shiny silver finish, and the oxidized, vintage finish.